Devils paid 0 Kč to release Nick Drazenovic. Devils paid 0 Kč to release Zack Phillips. Zack Phillips has been added to Devils. [18.06.2017 14:09:02] - Zach Budish has been added to Devils. [18.06.2017 14:08:20] - Devils paid 0 Kč to release Nick Drazenovic. [18.06.2017 14:08:20] - Nick Drazenovic was released. [18.06.2017 14:08:41] - Devils paid 0 Kč to release Zack Phillips. [18.06.2017 14:08:41] - Zack Phillips was released. [18.06.2017 14:08:46] - Zack Phillips has been added to Devils. [18.06.2017 14:09:11] - Devils paid 0 Kč to release Zach Budish. [18.06.2017 14:09:11] - Zach Budish was released. [18.06.2017 14:09:36] - Devils paid 0 Kč to release Andre Benoit. [18.06.2017 14:09:36] - Andre Benoit was released. [18.06.2017 14:09:58] - Devils paid 0 Kč to release Nikita Nikitin. [18.06.2017 14:09:58] - Nikita Nikitin was released. [18.06.2017 14:10:21] - Devils paid 0 Kč to release Zach Yuen. [18.06.2017 14:10:21] - Zach Yuen was released. [18.06.2017 14:10:25] - Zach Yuen has been added to Devils. [11.04.2017 23:57:17] - Albany Devils didn\'t make playoff for year 16. 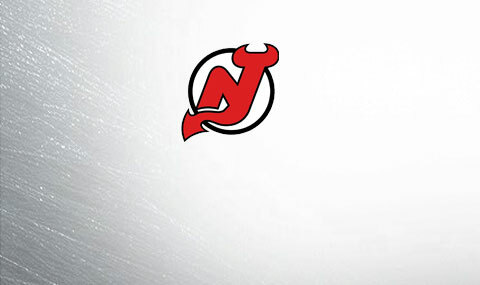 [11.04.2017 23:57:17] - Devils didn\'t make playoff for year 16. [11.04.2017 23:33:11] - Brady Austin was added to Devils. [11.04.2017 23:29:13] - Juuse Saros was added to Devils. [11.04.2017 23:28:26] - Michael Kapla was added to Devils. [11.04.2017 23:27:21] - Michael Kapla has been added to Devils. [25. 10. 2016 0:14:12] - Joona Koppanen has been added to Devils. [25. 10. 2016 0:14:12] - Adam Werner has been added to Devils. [25. 10. 2016 0:14:12] - Linus Lindstrom has been added to Devils. [25. 10. 2016 0:14:12] - Jesper Bratt has been added to Devils. [25. 10. 2016 0:14:12] - Nolan Stevens has been added to Devils. [25. 10. 2016 0:14:12] - Otto Koivula has been added to Devils. [25. 10. 2016 0:14:12] - Victor Mete has been added to Devils. [25. 10. 2016 0:14:12] - James Greenway has been added to Devils.